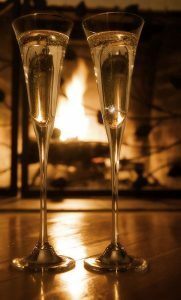 Ellen Hall and our romantic holiday cottages have been a special retreat for couples for many years now. It’s a great place to spend quality time together and a great place to celebrate those special occasions, Honeymoons, or even pop that special question……. We are very proud to have provided so many happy couples with the perfect place to unwind, truly enjoy their cottage holiday and find the ideal moment to ask the question. To our knowledge, every proposal has been accepted! A stay at Cottages Made For Two and the Lake District really does trigger that romantic inkling. Many Honeymoons and Anniversaries have been booked at Ellen Hall too, all guests are assured of adding to their special occasions with a Hot Tub or a Steam Room and a romantic evening by the beck. See our Salkeld or Dykes Cottages for the ultimate in cosy charm: with lofted four-poster bedrooms, real log fires and steam rooms for 2. We are often asked if the holiday can be kept as a surprise for one or both guests, so if your booking a cottage as a Birthday, Christmas, Anniversary or Wedding Gift- ask for one of our vouchers. We can theme it to suit the special occasion, honeymoon and include your own special message. You could also include “Welcome Gifts” (see below) and even a Spa session. Many guests find that a Spa/Hot Tub is a fantastic way to relax and fully appreciate some quality time together. Our Spa cabin has Champagne glasses to hand, a drinks chiller (ready stocked with popular soft drinks) and a sun deck overlooking the beck- not to worry if the sun doesn’t shine; the Hot Tub will have warmed you to the core! We would also like to organise all those other special treats for your arrival, so if you would like to surprise your loved one with: Chocolates, Bubbly, Fruit Bowls etc. just ask us when enquiring/booking. We are happy to arrange Gift Hampers too and can direct you to a very special business that will create a hamper to your taste. If you would like to have fresh flowers in your cottage for your arrival, we are very happy to organise this. We use a local florist in Cockermouth to do all our arrangements……..they are always splendid bouquets. PLEASE ASK FOR PRICES AT THE TIME OF BOOKING. 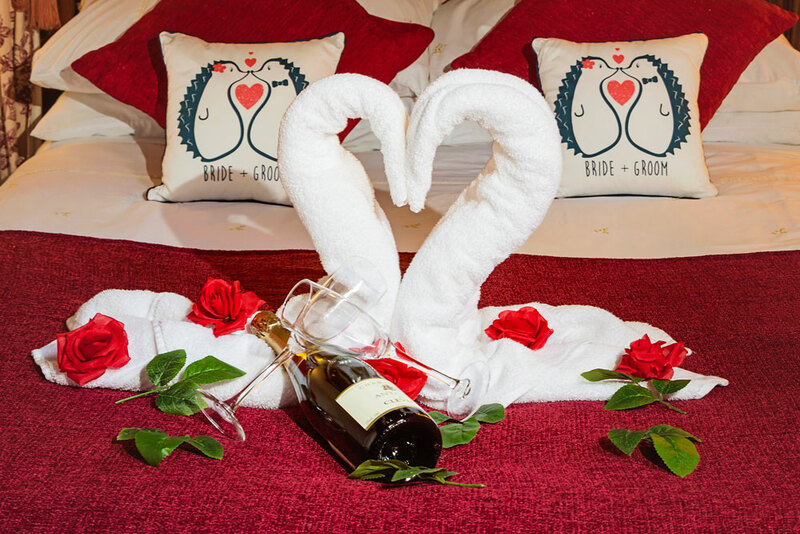 ♥♥♥ Included as a romantic (and complimentary) gesture is our white swan and roses bed decoration- just tell us the special occasion and it will be there waiting your arrival! Click on the accommodation images below to get all the information you need. If your looking for Lake District cottages for honeymoons, we especially recommend Salkeld and Dykes cottages.